Plinko Poetry. Image courtesy the artist. An interactive “Plinko Poetry” installation allows visitors to drop discs through a slanted 4 foot by 8 foot illuminated board. The display is equipped with pegs, which impede and redirect the discs to randomized pathways. 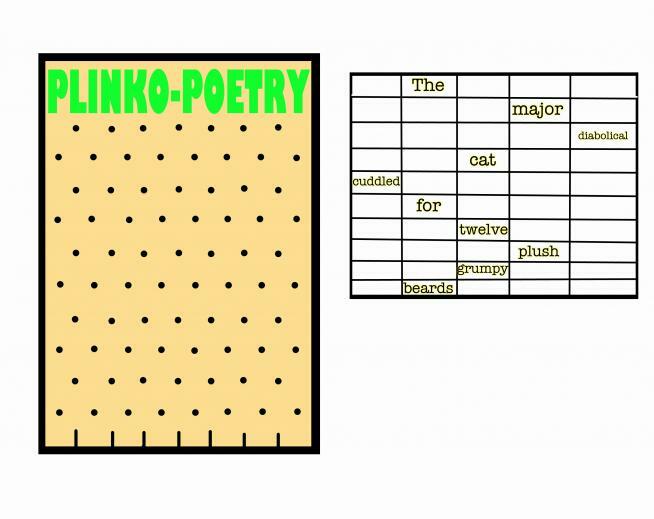 When the disc bounces off a peg on its way down the board, a corresponding word will be lit up – combine plinko words to create unpredictable, unique and entertaining poetry.